With all the people moving in and out of North Carolina, especially the Triad and Triangle areas where we operate, we get a lot of questions about how to best pack up possessions. Among the most common questions we hear, are about dishes and how to keep them intact during the move. With more durable things like clothing or certain children’s toys, you can pack them into any container and transport them worry-free. Dishes are one of the more common fragile items that will need to be packed though, so it’s important to give them a little extra care. Special “dish boxes” are just a scam for box companies to make a bit of extra money, right? Wrong. These boxes are made to be more durable and have two layers of corrugated cardboard (rather than one layer of non-corrugated material), so they can cradle the dishes during unexpected drops or bumps. These boxes generally also come with organizers to make the packing simpler. After you’ve assembled the boxes, one of the most important steps is to make entirely sure they are taped up well. If they are not, then the weight of the dishes, which adds up quickly, can bust through the box and ruin all your hard work (and your dishes). Use packing tape as it is specifically made, to grip to cardboard, is best. Bubble wrap is a more expensive, but also a very efficient, way of protecting fragile items. If you decide not to spring for this packing material, make sure to gather plenty of paper. Any ordinary paper will be fine, whether it’s computer paper, newspaper, or notebook paper. Even though some people complain that newspaper can leave ink smudges on dishes, these markings shouldn’t be hard to wash off. You can also use clothing like t-shirts to protect the dishes, as long as they aren’t too bulky. “The sides” include all six sides of the box, including the top and the bottom. The bottom of the box should have at least three inches of bubble wrap or crumpled paper protecting the dishes from contacting hard surfaces during falls and jostling that will inevitably occur during a move. Leave room when you’re packing to have more packing material on each side and on the top. This may seem like overkill, but a lot can happen during a move. Even if the dishes are safe from slamming into things outside of the box, a sudden drop or bump can cause them to slam into each other and become damaged. 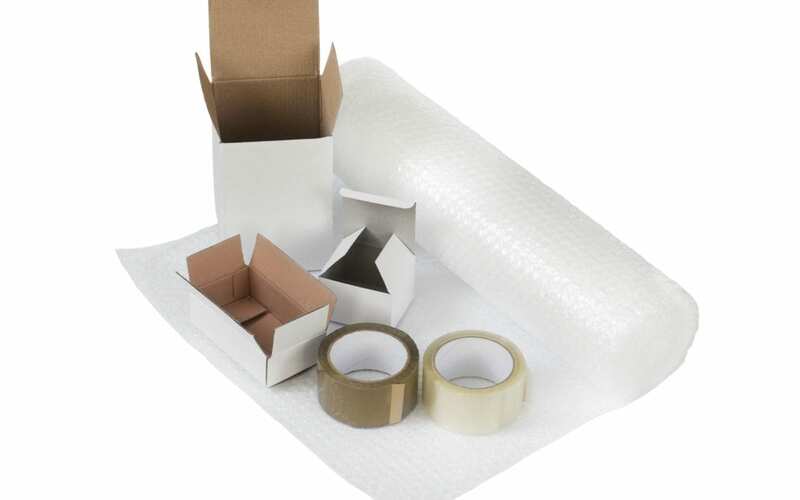 Using paper or bubble wrap, wrap each item and stack them with like items, so they fit efficiently. Many people will place styrofoam or paper plates between each of the plates (or paper bowls between the bowls) for extra cushioning. Still having trouble? Let us know. We can give more assistance where needed to anyone coming or going from the areas we serve. The Triangle region (which includes Raleigh, Durham, Cary, and Chapel Hill) and the Triad region (which includes Greensboro, Winston-Salem, High Point, and Burlington) are great places to live and work. If you’re settling here, we welcome you. If you’re leaving, we hope you’ve enjoyed your time here. Either way, we’d love to help make your move simpler and more stress-free. For Triangle moving assistance, call 919-213-6694, and in the Triad, call 336-939-6450.